ARKive – Greater bilby videos, photos and facts – Macrotis lagotis. The Greater Bilby is a nocturnal mammal currently listed as Vulnerable on the IUCN Red List. 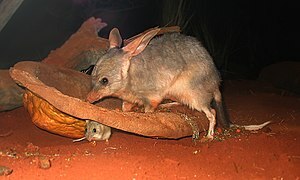 They can be found in small populations in Australia, depending on the subspecies (Western or Eastern Bilby). Bilbies are the largest of the rat-like marsupials, commonly known as bandicoots. 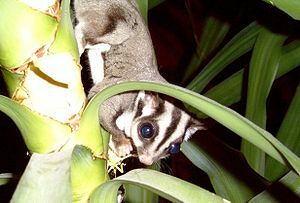 Due to its diet, (insects, fungi, bulbs) it doesn’t need to drink any water. Meet the Cassowary! …Is that Bird Wearing a Helmet? 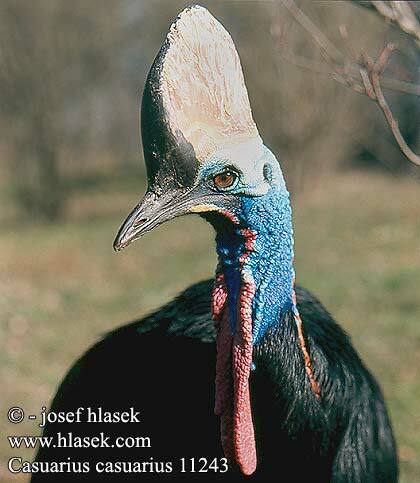 The Cassowary is yet another of my favorite birds (I’ve got a fairly long list now). These large ratites, the second largest and third tallest bird, are native to Australia and New Guinea. 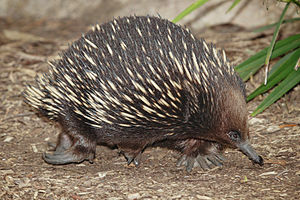 They are endangered in Queensland, threatened by habitat fragmentation and loss, vehicle strikes, hunting and other causes. They are a solitary frugivore that only come together during breeding season. 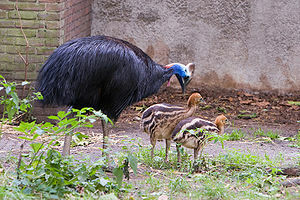 Cassowaries can weigh up to 128 lbs (behind the Ostrich) which adds to the dangers they can pose to humans. Adults have coarse black feathers on the body and a bright blue and red neck with red wattle(s), depending on the species. The wattle may act as a social signal. Their feet are large and even have a dagger-like claw as an inner toe. In combination with their powerful legs, these birds can run up to 30 mph and jump as high as 5 ft. The most fascinating thing about them, in my opinion, in the helmet-like structure on top of their head, called the casque. It is covered in keratinous skin with a firm, spongy core. Many theories of the usage of the crest exist.